Rafting in Seti River is a short trip passing the crystal clear water of Seti River with beautiful views of Annapurna and Manaslu. 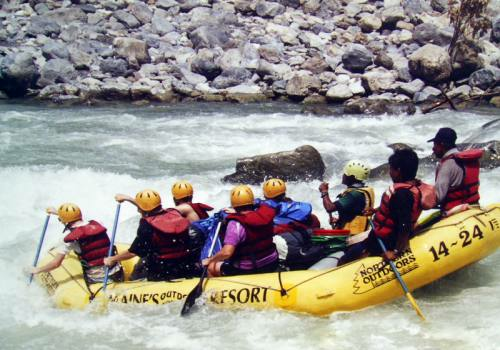 In terms of size, Seti River is relatively small, which is preferable for inexperienced rafters. It is said that Seti River is considered as the finest river to learn ‘Kayak’, due to her supreme character designed for it. Usually the water of rivers in Nepal are labeled as cold but here, the water of Seti River is unbelievably warm and rafters think that this river is suitable and meant for the winter season. It is an interesting river with unique characteristics of warmth. You can enjoy the warm water rafting in winter too. Seti River goes up on southeast slopes of Machapuchhare from there it runs south. Seti River is well known for its calm and moderate characteristics and alluring scenery. Mostly Seti River may have great impression on those tourists who love nature and especially to daydreamers. 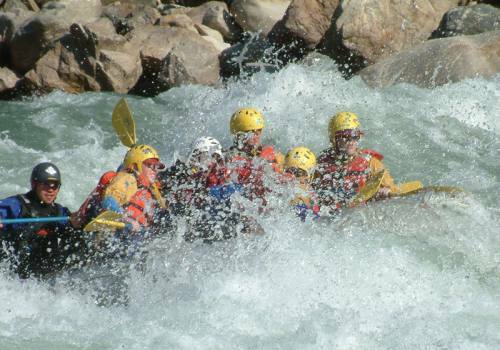 It is said that in monsoon season, it’s engorged rapids verify an exhilarating test for those kayakers and skilled rafters. 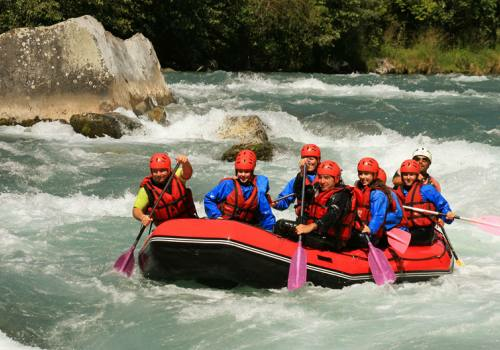 Rafting in Seti River starts from Dule Gouda (480m) to Trisuli River (200m). It covers the distance of 69km (39miles) and you can stay for 2 or 3 days as per your interest. 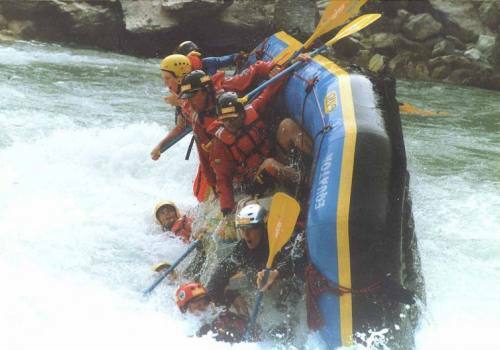 It is necessary to know that the best season for the Rafting in Seti River is October. We have a facility of providing high quality self-bailing rafts, helmets, plastic paddles, lifejacket and first aid kit. We do not hesitate to provide their customers with abundant and healthy hygienic foods. By the side of the river, there is a trace of lavish enormous forest, which was enclosed with the hills. At present this area is settled by the Magar people, who are well- known as the Gurkhas from generations to generations. If you are planning to stay overnight there then Saranghat will be your destination where you are facilitated with sleeping mats and tents but sleeping bags are provided as per your request. 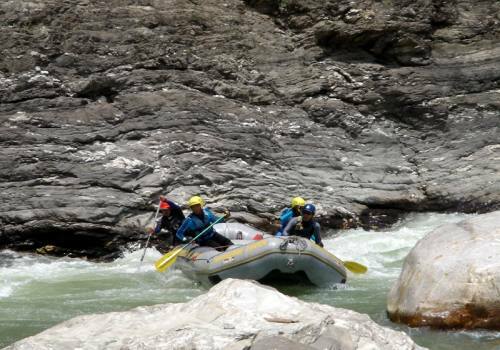 When you are done Rafting in Seti River, you can extend your adventure to the Royal Chitwan National Park or Pokhara, otherwise we will head back to Kathmandu for the farewell dinner. Day 02Drive to Damauli, Begin RaftingOn this day, we will drive to Damauli. For the night, you will stay in a tented campsite between the river and the jungle. 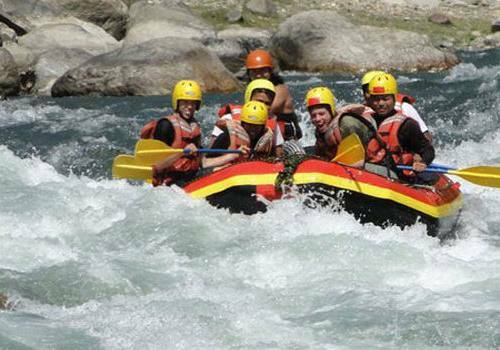 Much of the day is spent learning the way of the water and getting a feel for rafting. The entire day, though, you will be having a blast. Overnight stay in a tented camp. Day 03Continue Rafting, Drive to KathmanduAfter our breakfast, we continue our exciting rafting check for the first part of the day. After the rafting, you will take your lunch. From Gaighat you will drive back to Kathmandu. Farewell dinner in the evening.